Official 2010-11 USA Core Federation T-Shirt manufactured by Nike. Available sizes are S, M, L, XL, XXL. Brand new official training range of the United States national football team in the 2010 FIFA World Cup Finals. Official 2010-11 USA away football shirt manufactured by Nike Available sizes are S, M, L, XL, XXL, XXXL. Brand new official football kit of the United States of America national football team in the 2010 FIFA World Cup Finals. Customise your soccer jersey with Nike shirt printing for all your favourite stars including Clint Dempsey, Landon Donovan, Maurice Edu, or even your own name and number in the same style as worn by the players at the 2010 World Cup. Official 2010-11 USA away football shorts manufactured by Nike. Available sizes are S, M, L, XL, XXL. Brand new official football shorts of the United States national football team. 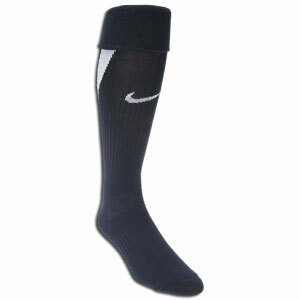 Official 2010-11 USA World Cup away football socks manufactured by Nike. Available sizes are S, M, L. Brand new official football socks of the United States national football team for the 2010 World Cup Finals. 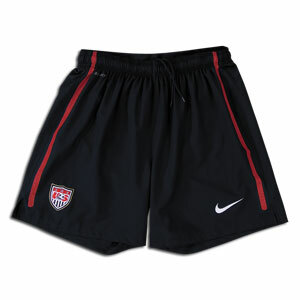 Official 2010-11 USA home football shorts manufactured by Nike. Available sizes are S, M, L, XL, XXL. Brand new official football shorts of the United States national football team. Official 2010-11 USA World Cup home football socks manufactured by Nike. Available sizes are S, M, L. Brand new official football socks of the United States national football team for the 2010 World Cup Finals. Official 2010-11 USA World Cup Away football shirt manufactured by Nike. Available sizes are S, M, L, XL, XXL. Brand new official football kit of the United States national football team for the 2010 World Cup Finals. Buy the USA soccer jersey with shirt printing of Jozy Altidore. Buy the USA soccer jersey with shirt printing of DaMarcus Beasley. Buy the USA soccer jersey with shirt printing of Carlos Bocanegra. Buy the USA soccer jersey with shirt printing of Michael Bradley. Copyrights © Transcraft Trading Limited 2006.All rights reserved.